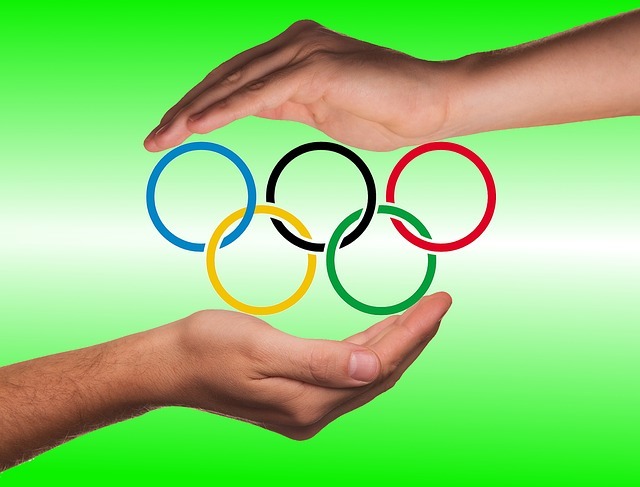 This week we have all been captivated by the spectacle of the Olympic Games. It is a continual source of amazement and admiration as we witness the culmination of years of dedication. Many of these athletes engage in sports we have never heard of and which will soon drift back into obscurity until the next olympic competition rolls around. Yet engage they do; most without the prospect of fame or fortune. They sacrifice sleep, social life, vacations and other simple pleasures to put their minds and bodies through often grueling training sessions. Frequently financial sacrifices must be made as well for coaching, equipment, travel, nutritional products and interim competitions. Most will never have corporate sponsorship or see their pictures on a cereal box. And, in fact, the majority will not receive medals. Although that is always the goal, the satisfaction of participation must suffice. Given the pressure of all that preparation for such a short window of opportunity, it would seem obvious that these athletes must experience lots of stress and anxiety. According to psychologists Robert Yerkes and John Dodson in their published research titled The relation of strength of stimulus to rapidity of habit-formation (J. Comp. Neurol. Psychol. 18, 459–482 (1908)), now known as the Yerkes-Dodson law, optimal performance requires optimal balance between activation and relaxation. So what are some of the best ways to achieve that balance? A recent article by Deborah R. Glasofer, PhD offers some ideas for coping with performance anxiety. These concepts are not just limited to athletic accomplishments but to any goal you are trying to achieve. The first suggestion is to use self-talk. Focus on the positives. Maintain an inner dialogue that motivates and encourages rather than one that drags you down. For example, think “I am strong” or “I can do this” or “I can do one more and then I’ll take a break”. Often we tend to internalize our perceived negative qualities whether real of imagined. You may have heard the expression “Negative thoughts are like velcro while positive thoughts are like teflon.” For some strange reason we tend to focus on negatives even when surrounded by evidence to the contrary. This can be the result of long-time indoctrination so it can be a tough habit to break. Tough, but not impossible. Like all change it requires practice but like all practice, the more you try the better you’ll get. Remembering your achievement goal and giving it priority can help you change that negative self-talk to positive whenever you recognize it. Staying in the moment is another suggestion. When you’re feeling overwhelmed by an activity try asking yourself “What am I really feeling now?” Are you in actual pain or just feeling incompetent? If you’re not in actual pain, give yourself a break. Is there a way you can modify your technique to make it more comfortable? Can you stop what you’re doing for a moment or two and then resume when you’re feeling better? Are you more worried about what you think you look like rather than what you are actually doing? Maybe your technique is not perfect. So what? Allow yourself that imperfection. Once again, it’s the effort and the practice that matters. Skill develops over time and with experience. Eventually you will realize that negative feelings are temporary. Acknowledge them and let them pass. This may just give you the space you need to find a way to keep going. Not surprisingly another suggestion is to focus on your breathing and even engage in breathing exercises. An article from the American Institute of Stress cites the benefits of using breathing exercises as a relaxation technique. Remember what Yerkes and Dodson found – there needs to be a balance between activation and relaxation. Too much of either is not beneficial. The well-known theme of moderation in all things applies here also. To me, this is one more vote in favor of mind-body practices like yoga and Pilates. Not only do these disciplines promote the physical responses of improving strength, flexibility and balance, but breathing techniques are also an important aspect of achieving the benefits. This article suggests coordinating breathing with movement. That is exactly what we try to do in yoga and Pilates. The benefits of this type of exercise go all the way from reducing blood pressure to alleviating depression. Another article from the National Institutes of Health goes further by suggesting that anxiety disorders might be better treated by breathing techniques than by medication. That’s a pretty powerful recommendation! Perhaps you’re still feeling some anxiety about starting a new exercise practice. Let those olympic athletes be an inspiration. The majority of them will never receive any accolades for their efforts yet they will experience a lifetime of benefit simply for learning how to perform to the best of their ability. You can do that, too. And it’s never too late to start trying. Your capability may change from day to day, but you can still be the best you can be on any given day. Once again – it’s always worth repeating! – the more you practice the better you will do. Don’t let another day pass. Get started!